We passed through Montenegrin passport control and customs without any issues. 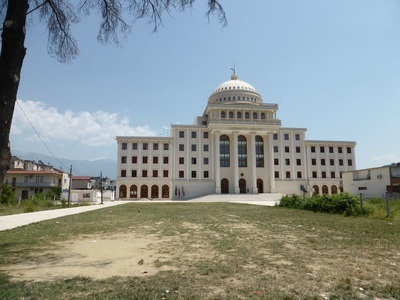 We drove on through no mans land expecting to emerge at the Albanian passport control and customs. But there was none. We stopped to talk about the implications when a middle aged, wiry, tanned, unshirted man on a bicycle whom we had passed earlier stopped next to us to chat. He confirmed that there was no Albanian border control there. He had cycled from Denmark, spent a little time in Switzerland and was heading to southern Albania. We have met so many people with interesting stories. 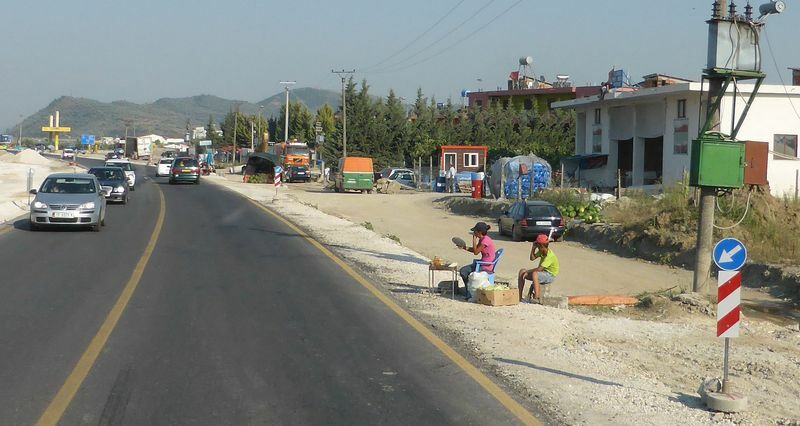 Children on school holidays selling fruit on the side of the road. We had some coffee by Lake Skadar and paid in euros before driving south. 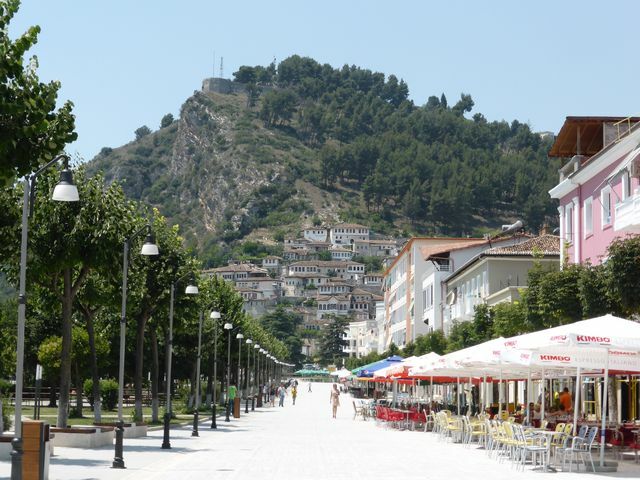 The roads improved from those near the border and we were able to get to a campground near Berat, about halfway down the country. It was the best camping area we had been in for a long time. We parked the truck and then they brought us iced coffees! 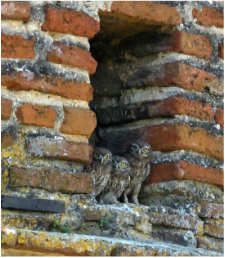 Three owls watching from the church tower. 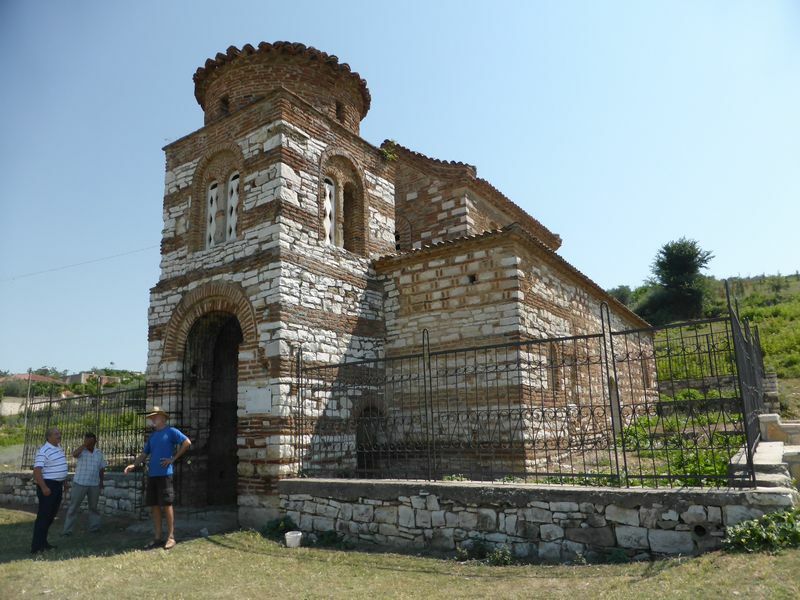 We were told of a church from the 10th century in a nearby village which we decided to check out. As we approached the church someone appeared to unlock the gate and another gentleman came to tell us about it in english. It turns out the man speaking english, Reghi had just completed a 4 year term as mayor but had also won a green card lottery entry into the US. He spent 10 years living in Boston before returning to Pehrondi for his second stint as mayor. Reghi's twos ons had been educated in the US and now live there. Eleventh century church in Pehrondi with Guy and Reghi, at left. We enjoyed coffee and a good talk with Reghi and Renada, then a visit to Reghi's country home before managing to tear ourselves away from this traditional Albanian hospitality and coninue on to Berat, an old Ottoman town and then to camp next to a deep natural spring called Blue Eye, that emerges from under a karst mountain range. 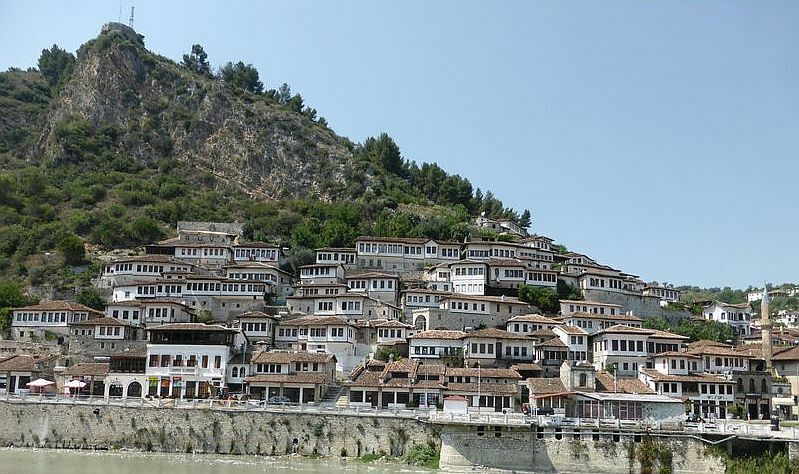 Berat, city of a thousand windows. 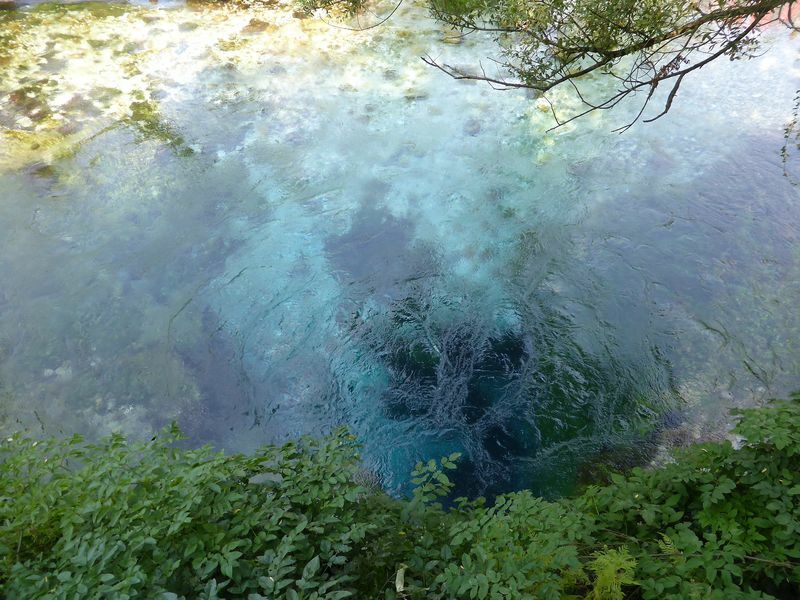 The dark part of Blue Eye is a spring in excess of 50 metres deep. Youneed abit of imagination to see a blue eye here. Too cold in Blue Eye for a swim even though the air temperature was going over 30C in the day. We headed to the coast, passing touristy Sarande to a campsite in Ksamil that had been recommended to us. It was owned by Albanians, Alexander and Lynda. 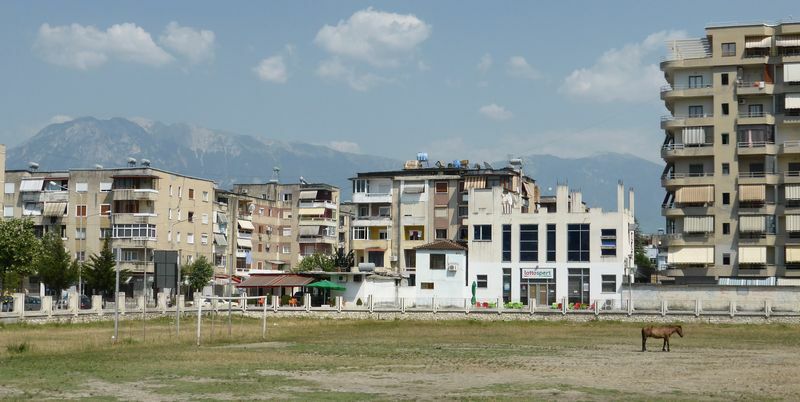 It looked a little basic at first but the facilities were good and the Albanian hospitality was evident as a welcoming Lynda brought down a tray with iced coffees, bottles of icy cold water and a small bowl of sweets. We enjoyed the clear waters of the nearby beach with the local holiday makers. It was very interesting to talk to Alexander who related experiences of the communist era under dictator Enver Hoxha. Alexander knew of people tortured for more than 2 years before being sent to prison to find fellow inmates were judges, politicians, doctors; of a student who had helped the dictator with accomodation when the young Hoxha failed at uni in France. The student became an ENT specialist but when Hoxha came to power he sent his former friend to a forced labour farm. Locals found out about the ENT specialist and asked for help in the local hospital but he was caught there by the authorities and as punishment his wife and young daughter were sent away to Italy and he was sent to work in the hospital indefinitely. He died not seeing his wife or young daughter again. Many of the students who had helped the dictator in Paris disappeared. 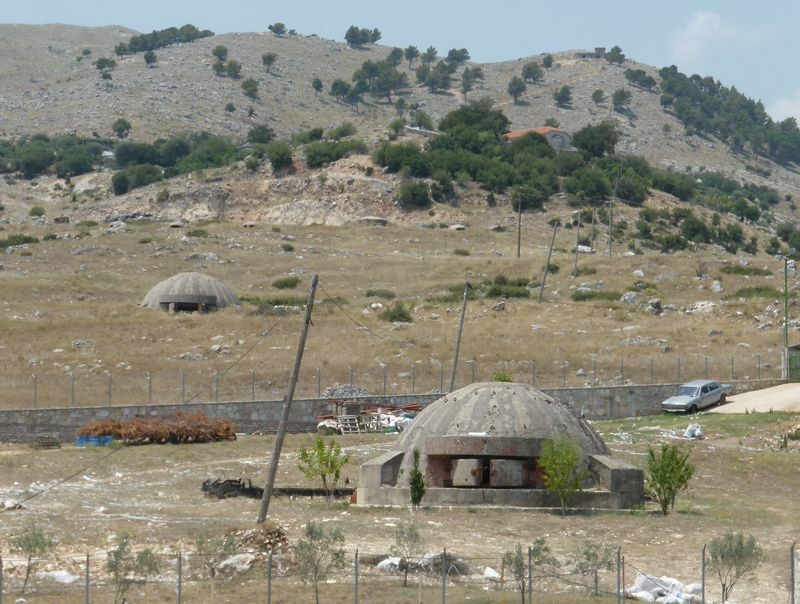 These almost indestructable bunkers of various sizes from the communist era dot the countryside. 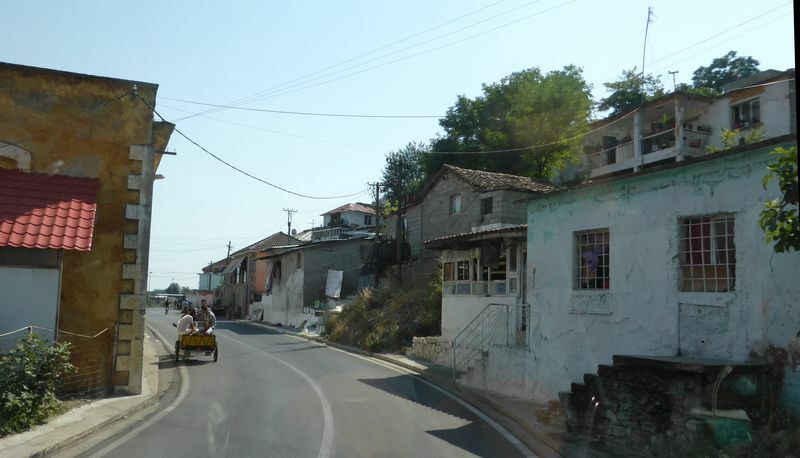 We drove back over the mountain range to Gjirokostra, which we had passed in the evening 2 days earlier, to visit an interesting 12th century fortress rebuilt by the Ottomans and the Ottoman old town. That afternoon we transited Albanian passport control without problems despite our lack of entry stamps and crossed into northern Greece on our way to Vikos Gorge. Our time in Albania had been very enlightening. The country is growing after years of harsh rule under the previous communist regime but haphazardly with buildings going up at random, many remaining unfinished; main roads were good and the people we met were very hospitable and friendly.